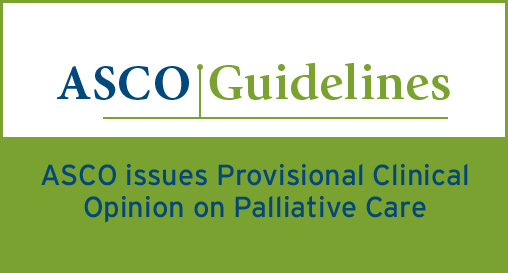 This week the American Society of Clinical Oncology (ASCO) published a new Provisional Clinical Opinion (PCO) as an early release article online, The Integration of Palliative Care into Standard Oncology Care. 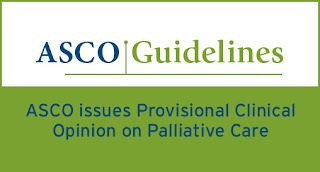 Seven published RCTs formed the basis of the "Panel’s expert consensus that combined standard oncology care and palliative care should be considered early in the course of illness for any patient with metastatic cancer and/or high symptom burden." The Oncology Report published a background piece on this PCO, which highlights the impetus of this paradigmatic shift in comprehensive cancer care as the Temel et al., article in the NEJM in July 2010. Pallimed contributors have posted more or less directly on the reverberations here, here, here, here, here, here and most recently here, where Lyle presaged this development. The background piece also highlights barriers to implementation including resource limitations such as the lack of clinic-based palliative care and community-based non-hospice palliative care, Stark law restrictions, reimbursement structures, more traditional oncology culture, and palliative care workforce limitations. 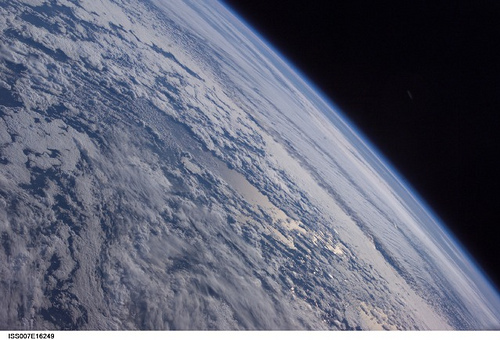 The piece anticipates support and direction from payers as well as cultural changes among up-and-coming practitioners. One unnerving thing that I noticed among the selected quotes in the background piece was an apparent, persistent confusion between palliative care and hospice, which I perceive as a barrier to effective integration. I face it fairly frequently in my polite chit chat with other residents, fellows and attendings about my training and career trajectory. This issue of confusion and naming has been remarked upon at Pallimed in the past, e.g., here, here and more humorously here.